Microsoft's Tami Reller tells its Worldwide Partner Conference that OEMs will have Windows 8.1 by August. Microsoft will hand over its most recent version of the operating system, Windows 8.1, to OEMs in late August, Microsoft's Windows marketing chief has told its partners. Speaking at its Worldwide Partner Conference (WPC), Tami Reller, corporate vice-president and chief marketing officer for Windows, said that Microsoft would make the RTM (release to manufacturing) version of Windows 8.1 to OEMs by late August. Microsoft did not say when Windows 8.1 would be released to consumers in its final form, but history suggests that Microsoft should at least be on track to ship by October. 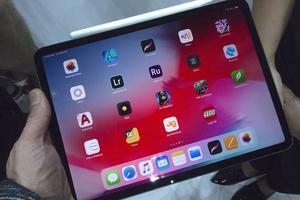 The upshot, Reller said, is that of Windows devices shipping this holiday season, "many of them will have Windows 8.1," she said. Microsoft's WPC, as its name suggests, is Microsoft's chance to communicate its roadmaps to its partners; Microsoft began its partner program about 20 years ago. According to chief executive Steve Ballmer, 90 percent of the revenue Microsoft realizes "in some way, shape or form" is generated by the partners Ballmer addressed today as part of a 3.5-hour keynote address. In aggregate, those partners had "quite a good year," Ballmer said, with all of its partners growing 6.5 percent over last year, on base sales of $650 billion. Ballmer's message, as it has been, was that Microsoft has reinvented itself as a devices and services company, rather than just a software firm. "Windows has always been more a device than a piece of software; it defined a class of device called the PC," he said, whether they be, tablets, all-in-ones, convertibles, and more. "We need our partners to come with us in this journey," Ballmer said. Ballmer said that Microsoft's partners would be shown how Microsoft has improved in the cloud, specifically how Microsoft straddles the public and private cloud; "big data," including how Microsoft plans to share Bing search data with developers and provide public data to private clouds with the Azure Data Marketplace; how Microsoft's social initiatives straddle a variety of products; and mobile, specifically how Microsoft supports its own products from itself and others. "We build experiences that help people get stuff done," Ballmer said. The WPC keynote also highlighted Windows Phone, which has now cracked the top three phone platforms, Reller said. Executives even brought up Microsoft's Xbox console, which generated $4.5 billion in revenue from partners, more than the Apple App Store, Reller said. Microsoft recently announced the Xbox One console. And Reller said that the Surface tablet was "hands down more productive than an [Apple] iPad." Microsoft now offers "one modern and complete experience across all devices connected today," Reller said. Of course, Ballmer and Microsoft have faced a backlash of sorts over Windows 8, and the radical overhaul of the Windows interface that the operating system includes. "Windows 8 was nothing short of the most remarkable replatforming from Windows," he told partners. Reller, who took over from Steven Sinofsky after Sinofsky unexpectedly left the company soon after the launch, had the job of convincing partners that Windows 8 was a hit. Unfortunately, she still didn't back off Microsoft's party line that the company had sold over 100 million Windows 8 licenses, and that enterprises had downloaded more than 20 million "enterprise evaluations." In total, Windows 8 had been used over 60 billion hours, she said. Over 100,000 Windows 8 apps have been released on the Windows Store. 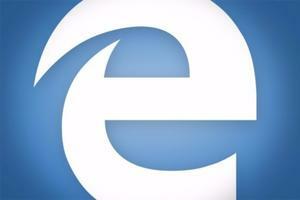 "Now is the time for enterprise to consider Windows 8 with Windows 8.1," Reller said. "It is only 273 days away until the end of Windows XP support, she said, adding some urgency to the transition. Reller also announced a design competency to train designers on how to design apps for the new Windows 8 interface, launching in January. Via another program, "Touch Wins," Microsoft will provide incentives to customers and partners who sell touchscreen-enabled PCs. Finally, Reller also said that Windows 8.1 RTM would be released by late August. Last year, OEMs had access to Windows 8.0 in the first week of August, with the public launch on Oct. 25--implying that Microsoft will launch Windows 8.1 to consumers, in its release version, before then. It's not clear how much testing Microsoft needs to do to push Windows 8.1, but the list of features that Microsoft is building in is huge. If you want Windows 8.1 now, however, follow our guides to how to download and install it.